1951 Ringside Gene Tunney. Card #95, Tunney is very tough to find. 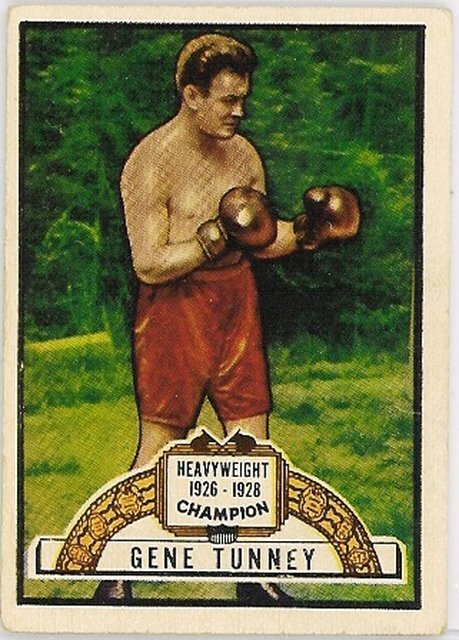 Although not short prints, two other cards are notorious problem cards: Joe Louis (#88) frequently has terrible centering left to right, and John L. Sullivan (#69) is often off-centered towards the bottom.